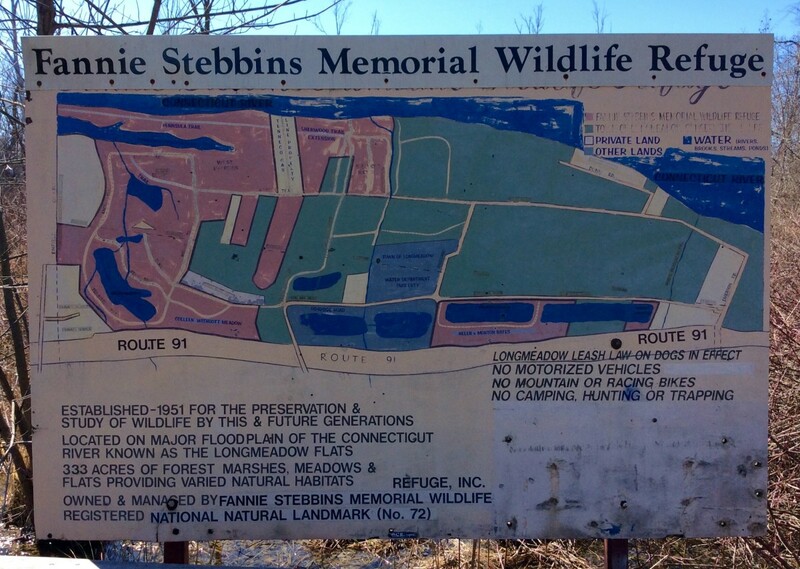 Situated in one of the more improbable locations just south of Springfield, Massachusetts, along the meandering Connecticut River is the Fannie Stebbins Memorial Wildlife Refuge. Covering over 330 acres of pristine floodplain between the river and Interstate 91, this jewel of western Massachusetts provides the perfect habitat for a wide variety of local animal and plant species. 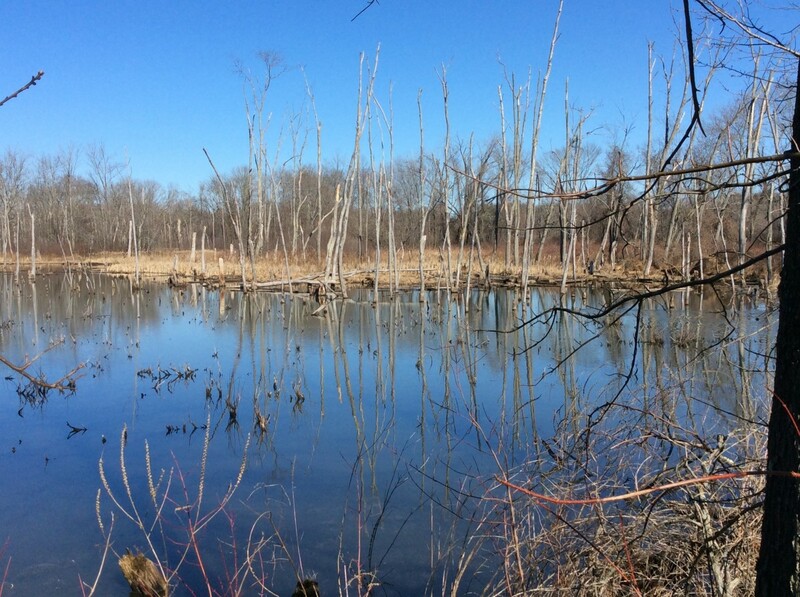 The refuge abuts conservation land owned by the Town of Longmeadow and combined creates an area of over 1,100 acres of floodplain forest, ponds, marshes, and meadows. 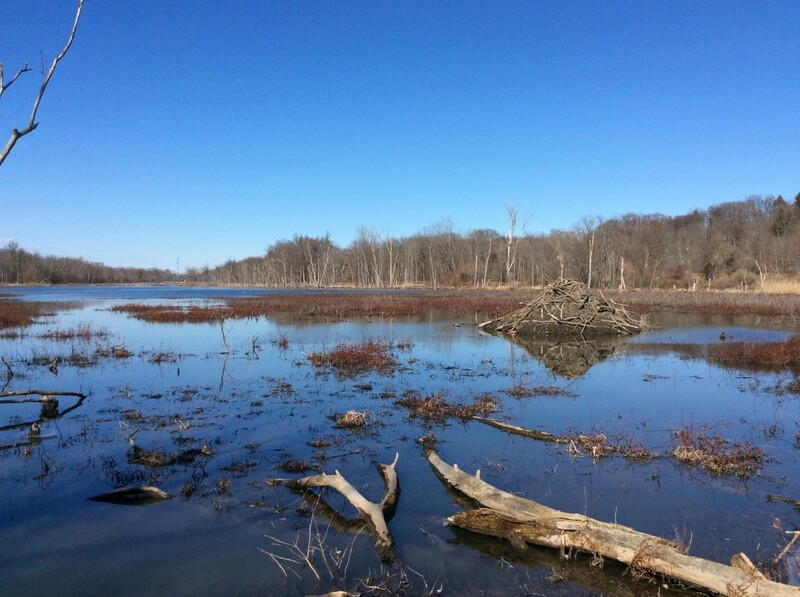 It makes for one of the best hiking and birding locations in the greater Springfield area. 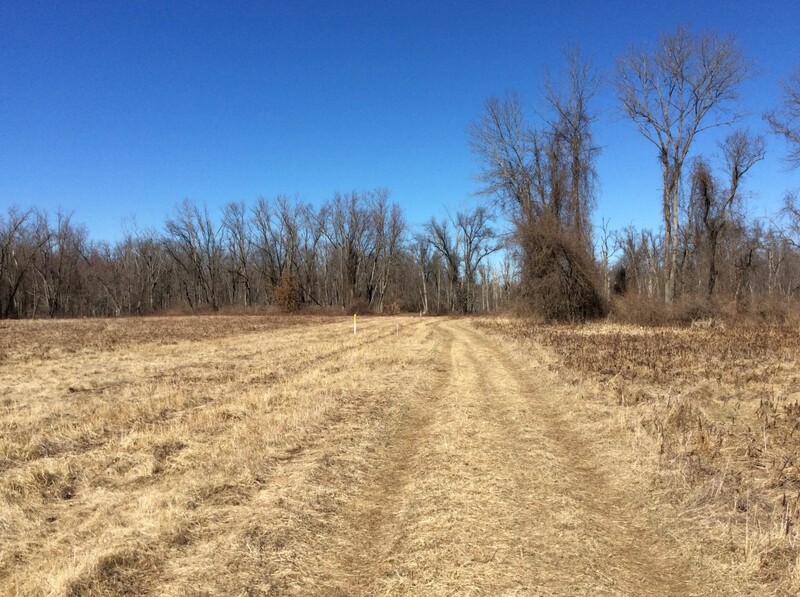 Known locally as the Longmeadow Flats, or simply as the Meadows, the Refuge has a number of trails for hikers and bird enthusiasts. 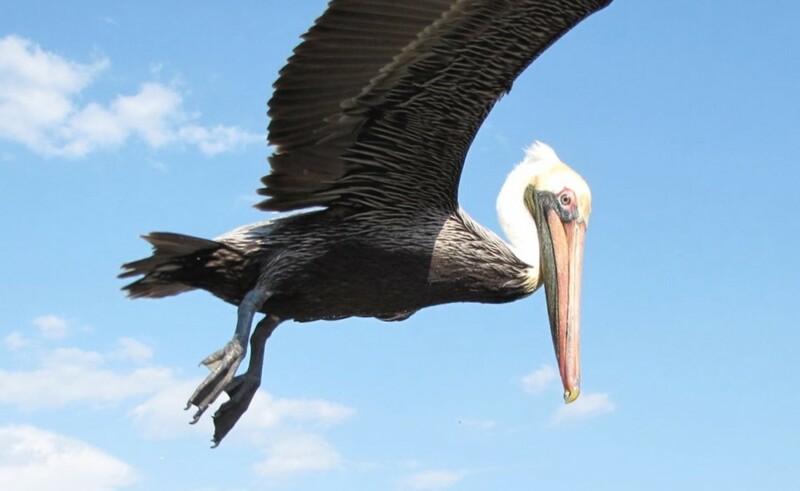 Established back in 1951 and managed by the Allen Bird Club of Springfield, the refuge has recently come under the protective umbrella of the U.S. Fish and Wildlife Service. Specifically, the land is now a part of the Silvio Conte National Fish and Wildlife Refuge, which manages over 7 million acres of Connecticut River watershed land in Vermont, New Hampshire, Connecticut, and Massachusetts. 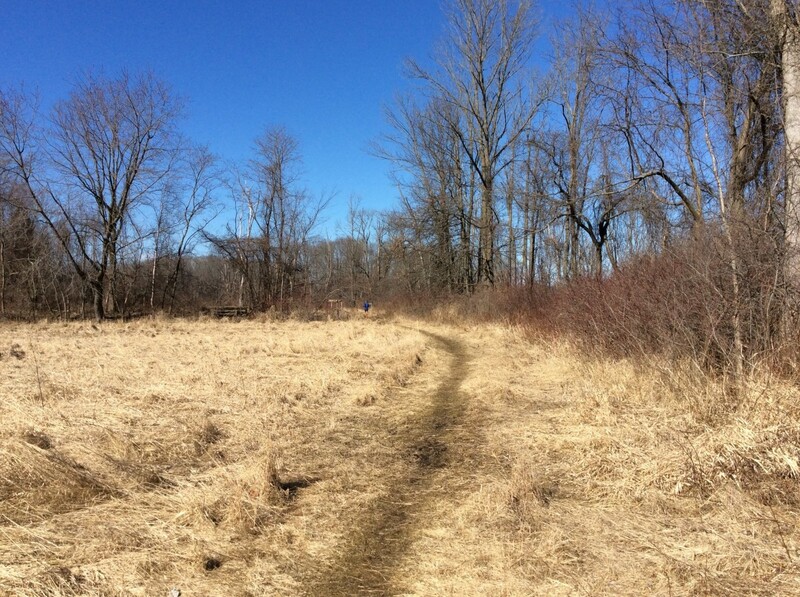 The trails in the refuge make for an easy hike and will take you across scenic meadows, forest, and floodplains that depending on the season can be somewhat wet and muddy in places. 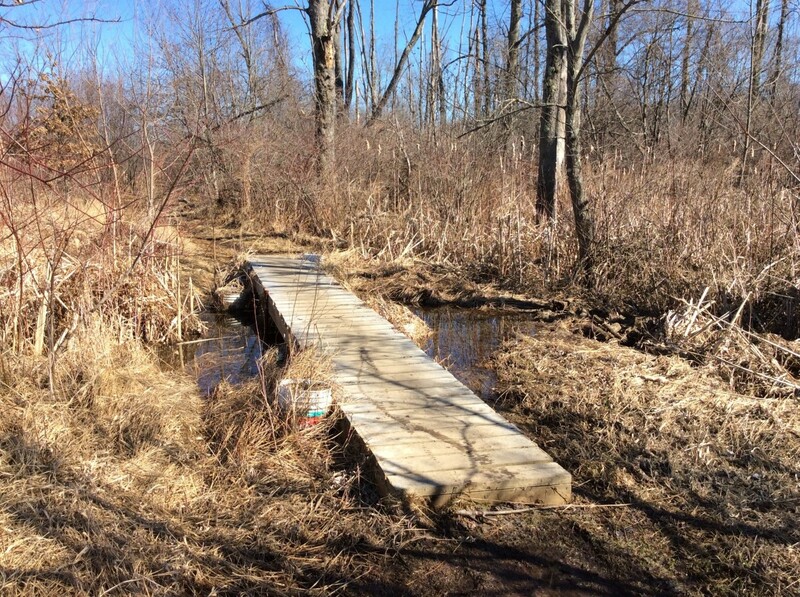 Thanks to the local Boy Scout Troop of Longmeadow there are a number of elevated boardwalk sections and bridges to get you over the more difficult areas. 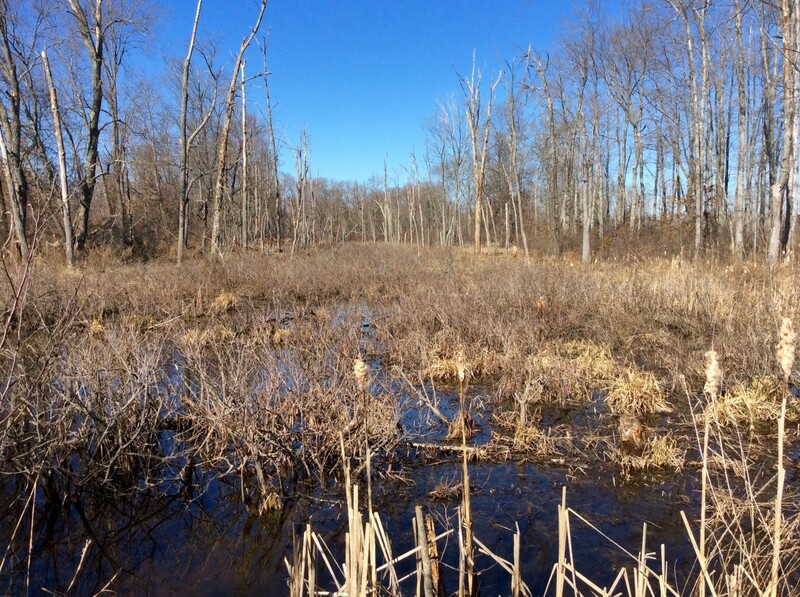 This is a floodplain and wetlands area, so expect to come across a number of ponds and marshy areas. 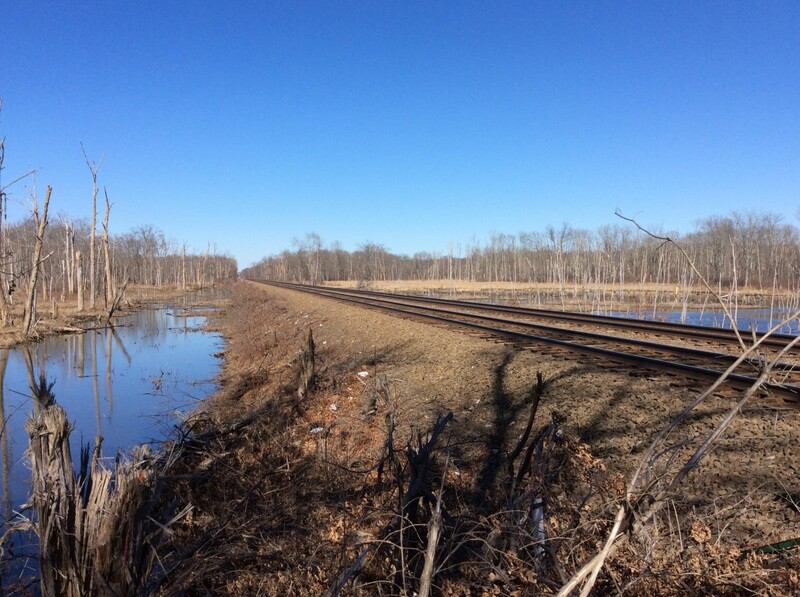 It all makes for the perfect habitat for a wide variety of waterfowl, hawks, owls, local and migrating birds, an occasional bald eagle, and an interesting assortment of animals including deer, coyote, fox, beaver, squirrel, turtles, snakes and numerous other species. The ideal launching point for a hike in the refuge starts at the corner of Bark Haul Road and Pondside Road. Bark Haul Road is accessible from Route 5, otherwise known as Longmeadow Street. You can also access the refuge by taking Emerson Road off of Route 5 and then taking a left onto Pondside Road. At the corner simply park on the side of the street and head to the giant map that shows the various trails (photo at top of article). 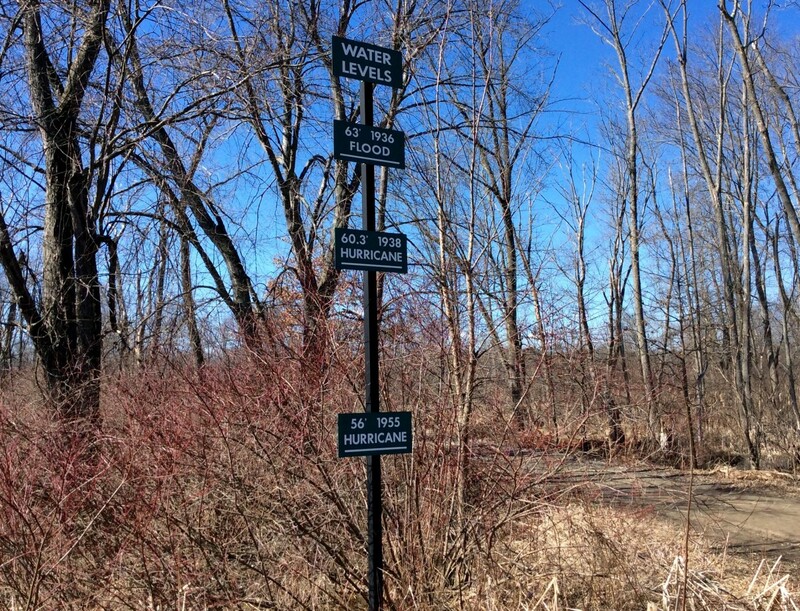 There is also an interesting water level marker here that shows the high water level during some of the more notorious hurricanes to strike southern New England. From this starting point you basically have three options; you can head south on the Meadow Trail through the Henry Burt Field, head west on the Bark Haul Trail, or you can walk north on Pondside Road toward the ponds and flood overflow areas where there will be a number of ducks, birds, swans, and a rather large beaver den. I usually head toward the Meadow Trail, which after following for a few hundred meters presents you with a few options. You can take the Perimeter Trail, the Elm Trail, or continue to follow the Meadow Trail. 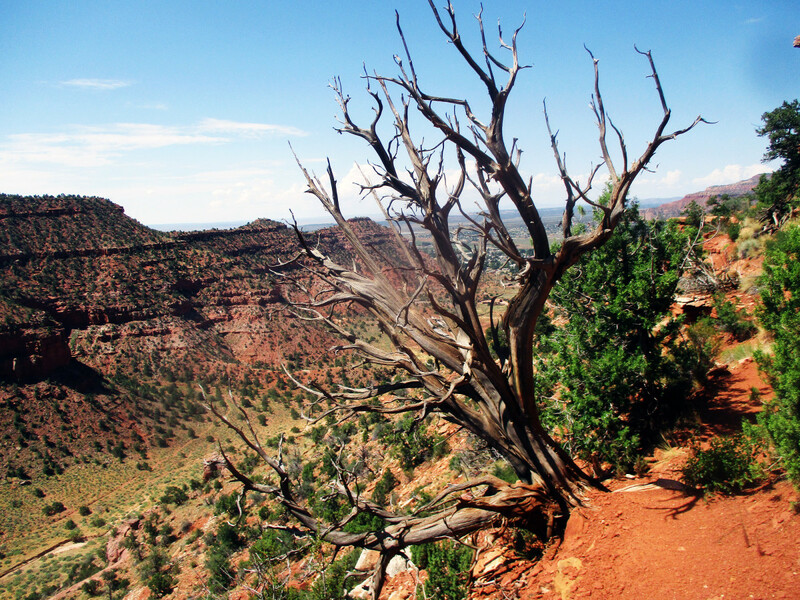 All options offer an easy hike with scenic views and many photos opportunities. 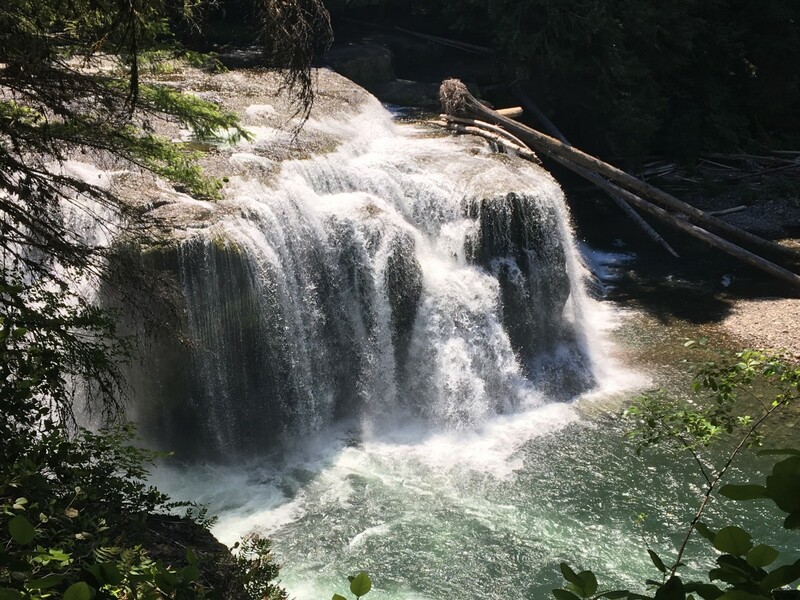 If you follow the Meadow Trail to the West Trail then to the Bark Haul Trail you will have completed a loop of approximately two miles and this is the route that most visitors take. Should you opt for the longer Perimeter Trail it will eventually take you back to where the Meadow Trail meets the West Trail in a part of the refuge called the Elliot Section. Once back on the West Trail there are a few short side trails that veer off the main trail and end at brooks, swamps or the Connecticut River. 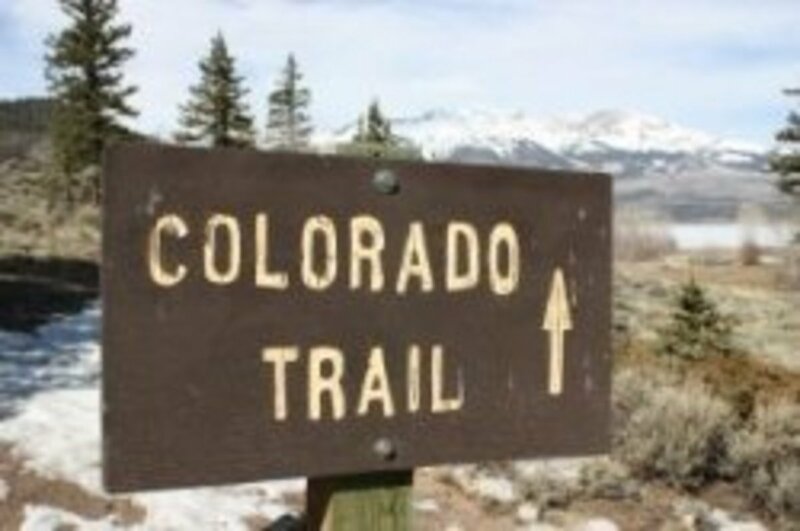 Don’t worry about getting lost as the trails are marked and they will all eventually lead you back to the main trail. When I came down here for the first time years ago I simply took a picture of the giant map so I had something to refer back to if I ever felt lost, which has never happened. One note of caution as you make your way through the refuge, there are railroad tracks that run through here so be careful when crossing and do not be tempted to walk along the tracks. 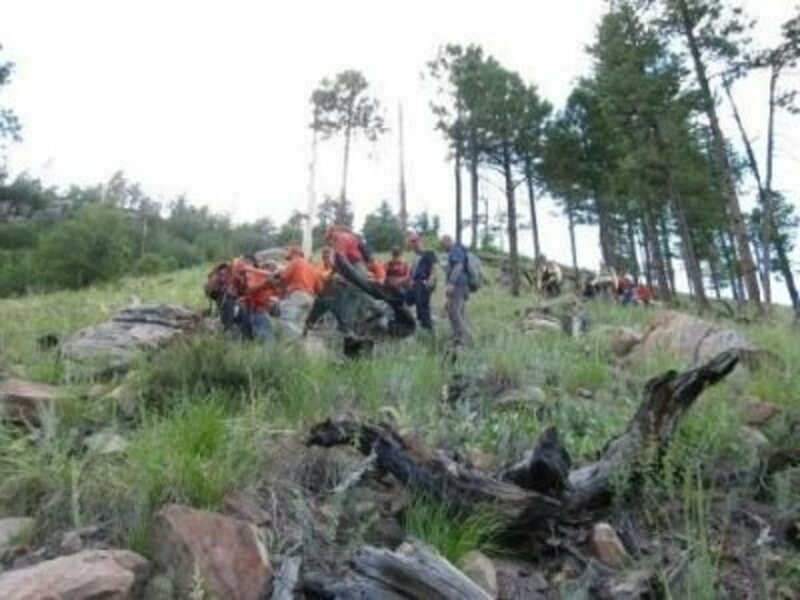 If attempting to hike the longer Perimeter trail please be aware that during the spring wet season the trail may become unpassable due to water. On more than one occasion I have had to turn around due to the trail being underwater with no way around. It’s also a good idea to wear the appropriate footwear. During the dry summer season, this won’t be as critical but it’s best to always wear the right footwear while hiking. On most of my visits to the Fannie Stebbins Refuge, I travel very lightly with just my camera, small binoculars, water, and cell phone. You can easily spend a couple of hours hiking here, much longer if you want to do some birdwatching or are adventurous enough to explore every nook and corner of the refuge. When done hiking I always make it a point to head down Pondside Road and stop at a few of the ponds, which are usually teeming with wildlife. 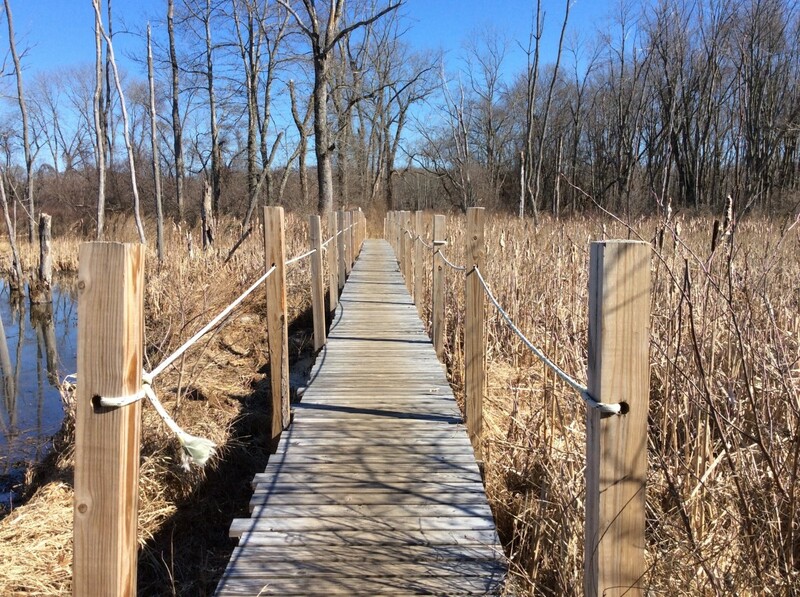 If you’re looking for an easy and scenic couple hours of hiking and bird watching check out the Fannie Stebbins Memorial Wildlife Refuge in Longmeadow. And if winter outdoor activities are your thing the refuge is also a popular spot for snowshoeing and cross-country skiing. No matter the season it still amazes me that such a pristine and remote area can be found this close to a busy urban area and the city of Springfield. Hi Carol. You picked a great day to go to the Meadows. This is one of my favorite areas to hike, walk, explore, and take photos. I’ll have to keep a watch for the Allen Bird Club walking tour, sounds interesting. Thanks for stopping by. I love that entire area, have been going down to the Meadows for over 35 yrs. The landscape has changed immensely in the past years. The beavers had their share of helping with that. Just took my friend down there today. The sunsets are so beautiful. The Allen Bird Club owns a part of that land. They schedule walking tours at special times of the year. Thanks Flourish. It is a very welcome break from humanity to spend a few hours in the refuge. That water level marker is a constant reminder of the destructive force of Mother Nature. It's hard to imagine the Conncticut River rising that high. Thanks again, have a great day. It's great to know that this type of wildlife refuse exists as a respite for not only the critters but for the people who care about them, too. I'm sure that it's a welcome break from the life of the city walking among nature, bird watching, hiking and taking photos. That was an interesting photo with the water levels. Hi Peggy. 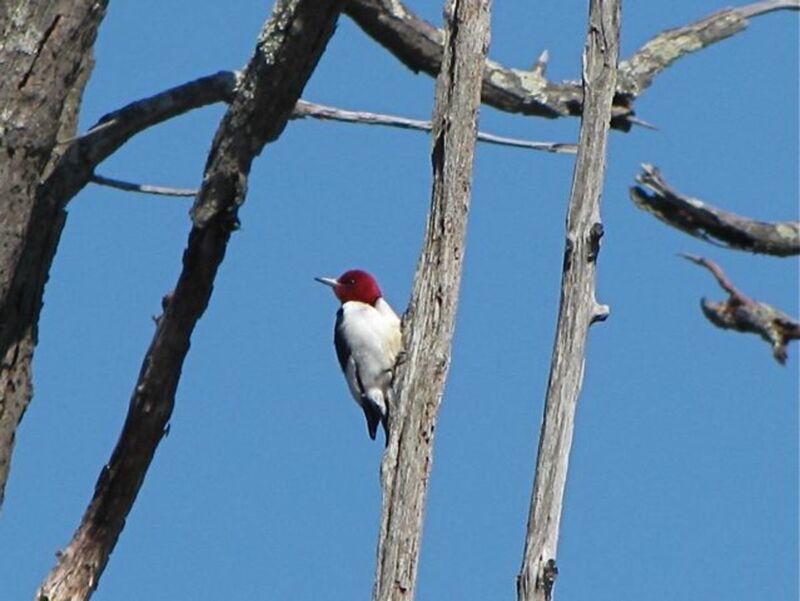 I did spot a pair of Red-headed Woodpeckers. They spent the winter here, which is unusual for this very colorful woodpecker. I've seen them on a couple of occasions this winter. They were the highlight of the last few months. Also saw a pair of Ring-necked Ducks, which is also rare for this particular area. Guess it's been a pretty good couple of months. Thanks for stopping by, have a great weekend. Did you spot any interesting birds while hiking there? It looks like a place birds would definitely congregate. Great photos as usual. I always expect that from you. Thank you Linda. It's certainly one of my favorite places. Glad you enjoyed the tour. Have a great day. The wildlife refuge that you've described sounds exactly like the type of place that I love to explore. Thanks for the enjoyable tour and for sharing the lovely photos, Bill. Thank you Blossom. It's a wonderful place for photography and for bird watching. 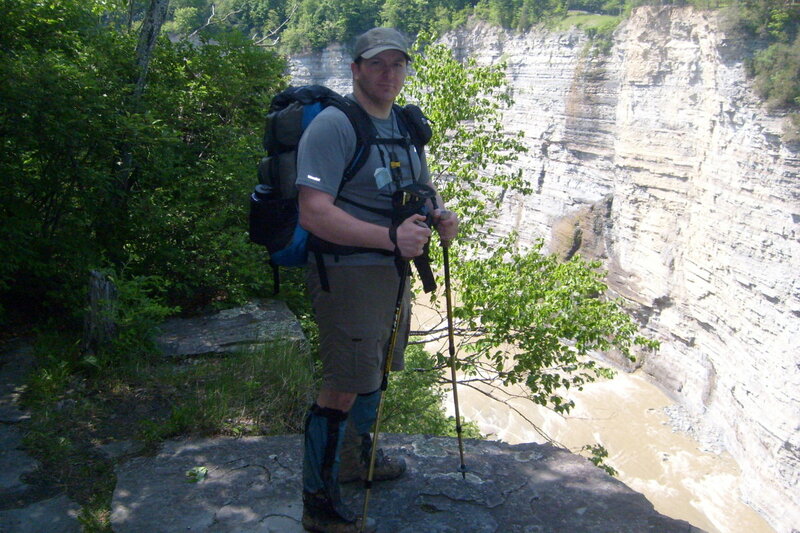 The hiking is fairly easy, just a great place to get outside and enjoy nature. Thanks Rich. It can be a little wet this time of year but it really is a beautiful place. I try to get to the refuge as often as I can. Thanks for the visit have a great week. How lovely! A great 'hike' and just loved those photos, too. Great hub Bill... Looks like a fantastic place to hike and even better place for nature photography. Hi Bill. Thank you. You let me know when you make that trip and we will be more than happy to show you around the area. 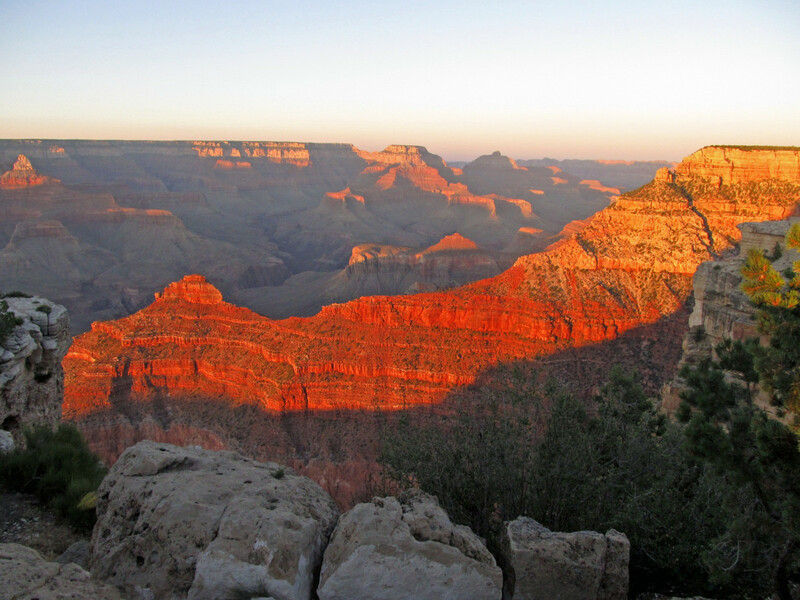 There really is so much to see. Just D.C. alone could keep you busy for many days. Thanks again, have a great week. Hi Andrew. Thank you for stopping by. This refuge is critical to some species in our area. I feel very fortunate to have this area very close by to enjoy. Very cool, Bill! Not only a great description but the photos are first class. I want to return to Mass some day...take Bev up and down the east coast....show her Vermont, D.C......I'll let you know if we ever make that trip. Thank you for the tour. It's always pleasing to find these kinds of habitats with not too much management/landscaping going on but simpy left as wild as possible. These natural corridors are vital for some species.Long may they last.